I've always been a loyal user of the DejaVu Fiberwig mascara. I think I started using it about 7-8 years ago? I can't remember. But it was always my go-to because it would never smudge and it came off easily with warm water. 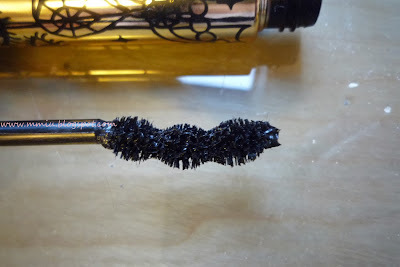 The only thing was, it never really gave a lot of volume, which is why I'm always on the look out for a new mascara. While shopping around on Adambeauty, I noticed the Fairy Drops mascara in the film type, which means it stays on like the Fiberwig mascara and comes off with warm water. I never had any luck with the first Fairy Drops that was released years ago because it smudged on me. However, the Platinum Film type promises to stay put while giving length and curl. I think there's fibers in it. If there is, it's barley noticeable. 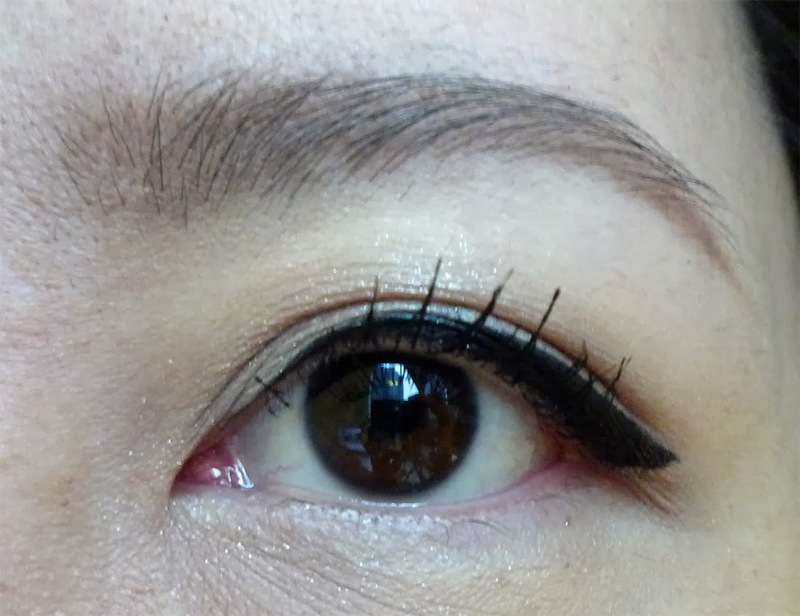 The wand is curved with 3 ball-like shapes to help catch onto all the lashes. The formula isn't too wet, which is great for me because wetter formulas tend to weigh my lashes down. Here's the before and after picture. My lashes are barely noticeable and this is before I curled them. ..and after. 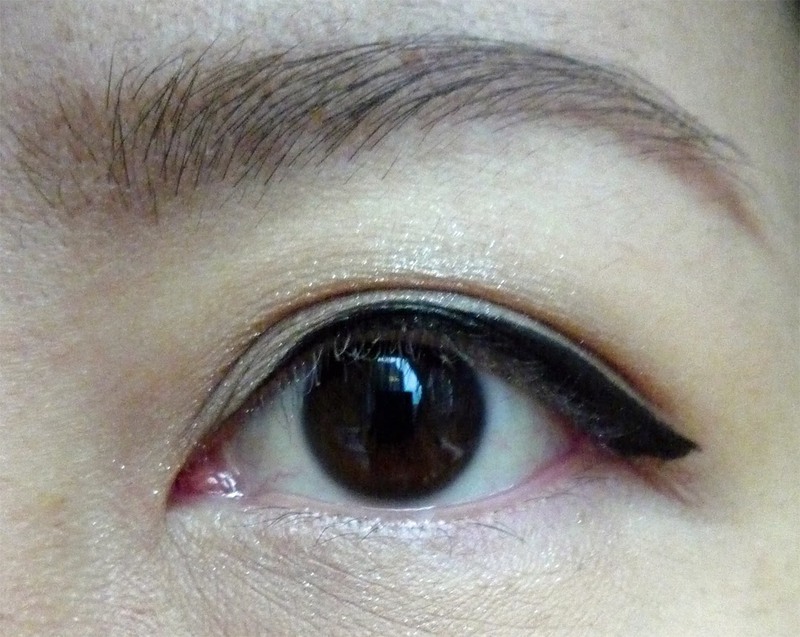 I used about 2 coats of mascara, if I added more it started to weigh my lashes down. 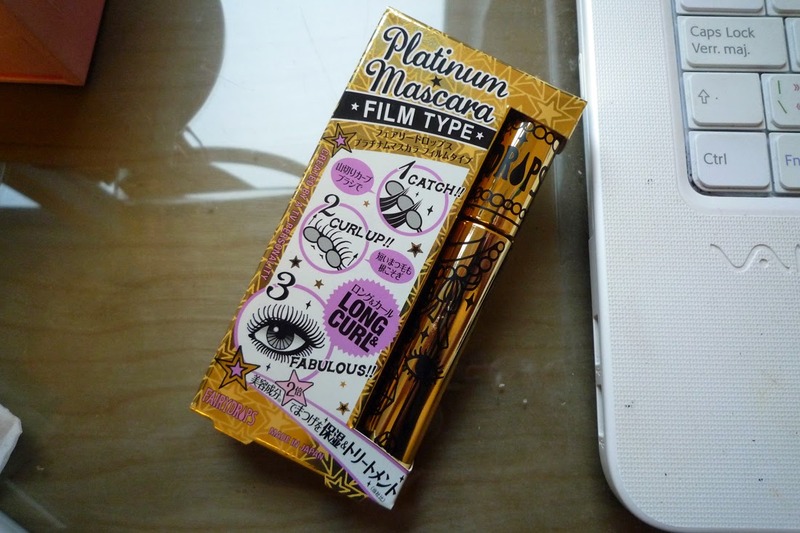 This is a decent mascara. It stays put all day and doesn't smudge or flake. On my left eye, it's pretty good at holding the curl, but my right eye lashes doesn't really stay. It lengths pretty well but at the same time, if I apply more for length, my lashes start to droop, so I wouldn't repurchase a new one once I run out, I'd rather try another film type mascara...the hunt continues for the perfect mascara!